Music is an important part of the worship experience. There are many ways to be involved in this aspect of our ministry. Chancel Choir – We rehearse Wednesdays at 5:30and perform once a month during worship. Our Director is Deb Roberts. Bell Choir – We rehearse Wednesdays from 6:15-7 and perform once a month. Our director is Bobette Fife. 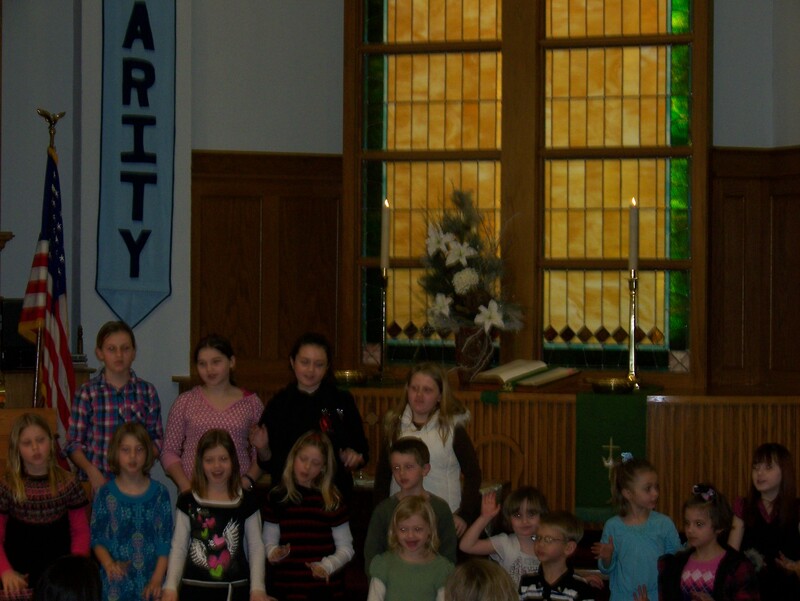 Children’s Choir – meets after Sunday School once a month to learn fun new songs which are performed during services. All children are welcome. Led and directed by Jodi Lyddon, Erin Wetzel, and Jo Drake.